Today Dominic and I are starting the 21 Day Fix. I’m hesitant to even say so, because, well, what if I quit? Or eat an entire bag of chocolate covered sea salt almonds? Or order a pepperoni pizza as midnight nears? It’s out there in the universe now. For 21 days I’ll be all whole foods, no sugar, no coffee, lots of water and many disguised vegetable options. Regardless of THE FIX, I’ll forever and always I’ll be a pizza girl. There is just something about a crisp crust and hearty toppings that fills the pizza shaped hole in my heart. In my book, pizza equals the perfect meal. You agree, right? Everyone loves pizza! Since curbing the all day every day pizza obsession of my college days (bring on the pepperoni, onion, olive and cashews!) I’ve started exploring healthier pizza options. Which is timely. Because of said fix. A little pizza truck near my house whips up a divine veggie pizza with a sea salt crust and one of our favorite date night digs serves a roasted apple and caramelized onion pie. Oh my, more than mouthwatering! So, I’m slowly moving away from the grease bomb type of pizza. 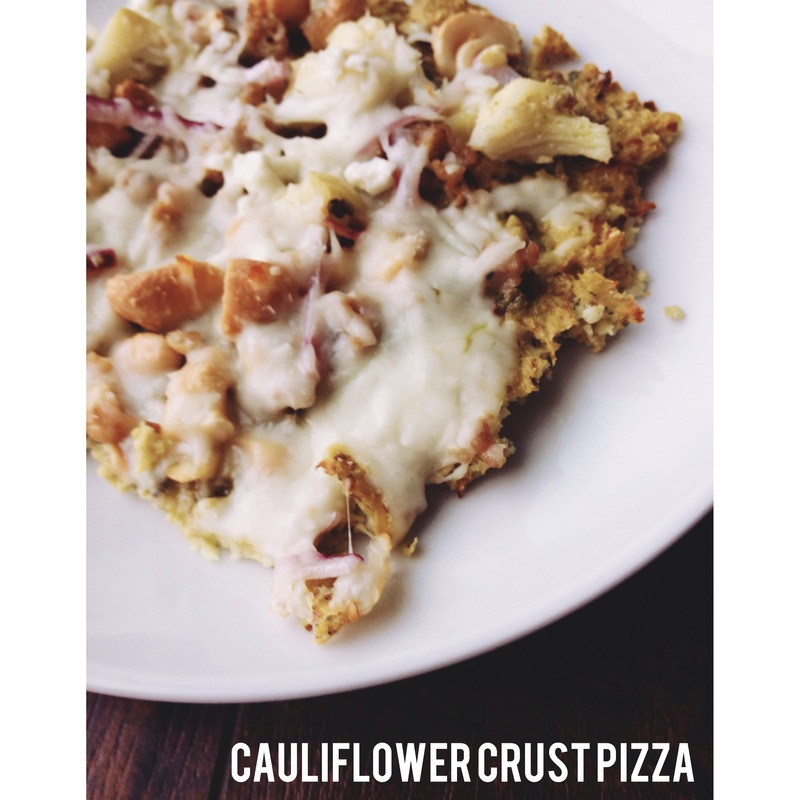 At home I’ve taken healthy pizza a step beyond quality toppings – may I introduce the yummiest cauliflower pizza crust! I know! Disguised veggies for the win. The capital WIN! 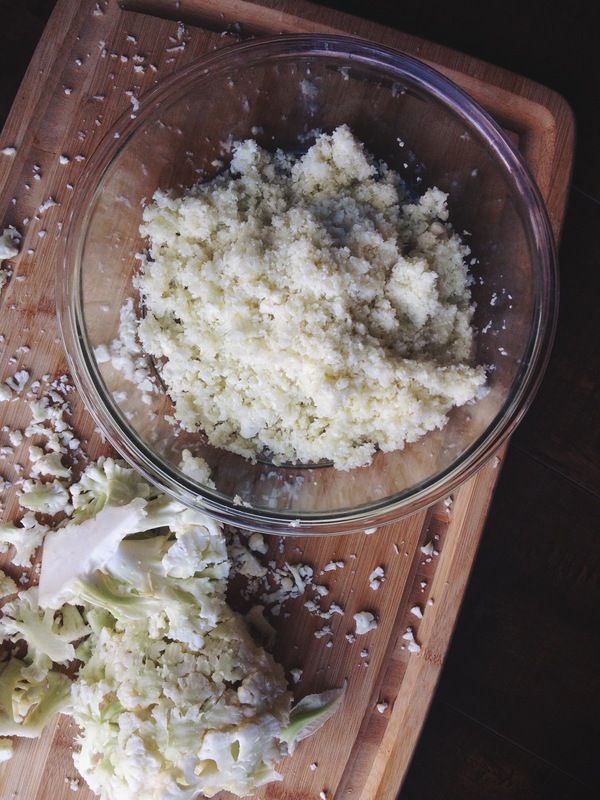 Rice your cauliflower in a high-powered blender or on the fine side of a cheese grater. This is the most tedious part of the crust, but worth it because … you’re making pizza crust out of a vegetable! Place your riced cauliflower in a large bowl and microwave for 8 minutes. When done, scoop cauliflower onto a few paper towels and press with a few more to remove excess moisture. Add cauliflower back into the bowl. To the cauliflower add almond meal, nutritional yeast, egg and seasonings. Blend well. The nutritional yeast is usually in the bulk section at more local grocery stores and both Costco and Trader Joe’s carry almond meal. 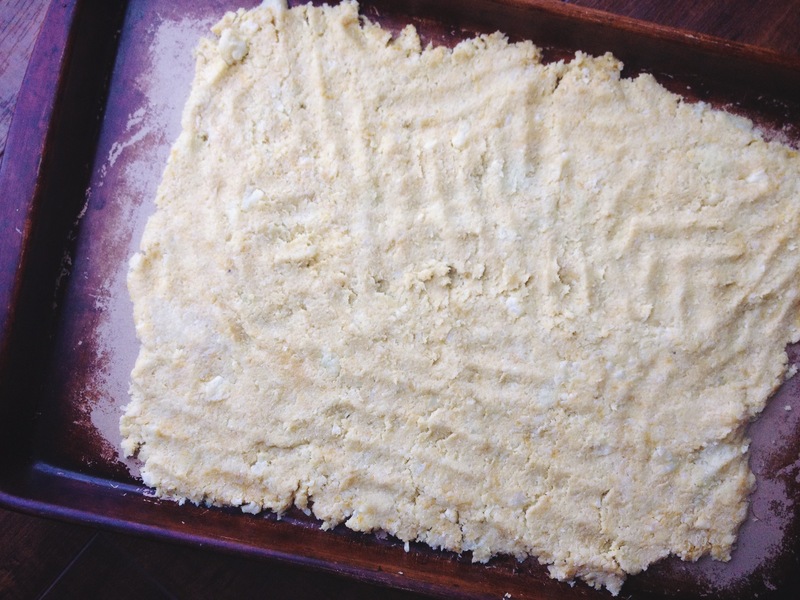 Press dough onto a baking sheet and bake for 15-20 minutes. I’ll forever and always be a Pampered Chef fan and their stoneware bar pan is the best for this pizza. Once golden, remove your crust from the oven and add toppings. My favorite combination is fresh garlic topped with spinach and chopped rotisserie chicken. Seal it off with a cheese blend and sprinkle feta and cashews on top. Bake for an additional 5 minutes or until toppings are warm and cheese is melted. Don’t expect your crust to be firm like a traditional pizza; you’ll need a fork. But don’t worry – it’s wonderful and the whole family will love it! Even my picky 3 year old accepted her cheese only slice and dipped her bites in some homemade marinara sauce. 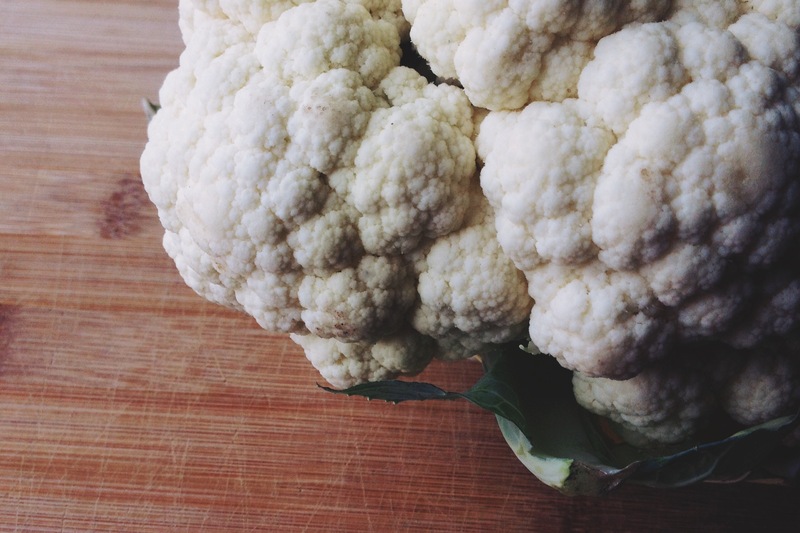 You guys … that’s TWO vegetables she ate willingly – cauliflower and tomatoes. What a miracle! Now it’s your turn! What favorite foods have you put a healthy spin on? Also, have you done the 21 Day Fix? What are your favorite recipes? Oh I may need to try this! GF pizza is super expensive and I get tired of being left out of a quick pizza supper!